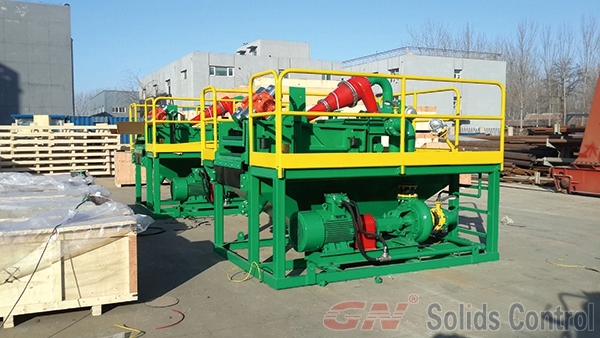 GN Solids Control recently produced 6 sets of vacuum adsorption vibrating screen units for offshore platform projects. The customer ordered the vacuum shaker screen unit from our company for the second time. The vacuum adsorption vibrating screen unit produced by GN Solids Control was in the first time. After use, it gives the customer a very satisfactory result. This is also the desire of GN Solids Control technicians to develop new products, which can satisfy every customer. After more than a year of field simulation experiments, GN Solids Control plans to independently develop vacuum shale shaker equipment in combination with the advantages and performance of various products at home and abroad. The company applied for domestic and foreign patents for the first time, and vacuum adsorption by GN Solids Control. The device is used on the offshore platform by installing a vacuum adsorption device under the last screen of the vibrating screen. When used in the field, a certain frequency of vacuum absorption is formed by the pulsating airflow, which can effectively improve the recovery of the drilling fluid and reduce the discharge of cuttings. The liquid content. When the offshore platform is used in the field, the customer can already use the slag outlet of the vibrating screen to install a small screen with vacuum adsorption through the external type to realize the vacuum adsorption drilling fluid recovery before the cuttings are discharged. GN Solids Control’s vacuum adsorption vibrating screen unit is used in a wide range of applications, including oil-based mud (BOM), water-based mud (WBM), and slurry-based mud (SBM).as a good solution for mud separate system It can also be applied to land drilling rigs and offshore drilling rigs, improving the efficiency of vibrating screens for solid-control equipment, recovering drilling fluids, reducing the amount of waste, and vacuum-adsorbing vibrating screen devices to replace the processing of drill cutting screens, but at a lower cost, with almost no additional land occupation. The area meets the space requirements of the offshore platform. The vacuum adsorption vibrating screen device has become a new product of GN Solids Control and has been widely concerned by customers at home and abroad. Welcome customers to consult.